Trademark “AGR Technologies” is used by AGR Technologies Inc. A‚ under an authorization from AGR Technologies Inc. All references to AGR Technologies refer to AGR Technologies Inc.
“AGR Technologies Support Staff means” certified technicians and specialists used by AGR Technologies to perform the Services under this Agreement. “Plans” or “Subscription/(s)” are tenured Subscription plans offered by AGR Technologies that are active for a specified period and will include any incident based plans such as “Per Incident Plan” or the like. “Materials” means any web casts, download areas, white papers, press releases, datasheets, FAQs, product information, quick reference guides, or other works of any kind that are made available to download from the AGR Technologies WEBSITE are the proprietary and copyrighted work of AGR Technologies and/or its suppliers. The definition of “Materials” does not include the design or layout of the www.agrtechnologies.com web site or any other AGR Technologies owned, operated, licensed or controlled website. you use the content solely for personal, informational and non-commercial purposes; AGR Technology's trademarks and copyright symbol and statement set forth on each page of the site appears on each downloaded or copied page; and no modifications are made to any content whatsoever. 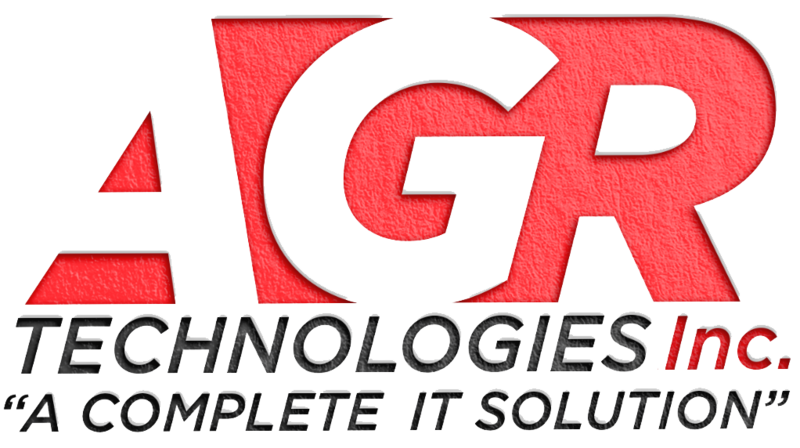 "All references to AGR Technology or the web site (www.agrtechnologies.com) and AGR Technology refer to AGR Technology, Inc.
Subject to the Terms and Conditions, and other terms specific to each service plan, AGR Technologies will address your query using commercially reasonable efforts in providing appropriate solutions under the Services. In most cases, AGR Technologies will attempt problem diagnosis and a solution through chat, email or other means as it deems most appropriate under the circumstances including remote access. You understand that if remote access is used on your computer there will be no residual software from the remote session; however, there may be a text file placed on your computer that will explain the work that was done on your computer. If such a text file is placed on your computer, you have the option to either save the file for future reference or to delete it from your computer. All undertakings under Plans are subject to AGR Technologies limited warranty, which is set forth below. For more information, please refer to online documentation or call us at +1 978-387-6653 (Phone) / +1 508-408-5072 (Fax) / Email: info@agrtechnologies.com. You agree to pay all Services Fee and any other applicable fee/charges as set out in the relevant Service Plan in accordance with the Payment Terms provided below. Services against any Subscriptions/Services will be available once you have made payment for Services according to the requirements of the corresponding Subscriptions/Services . All payments against the Subscriptions/Services will be collected by AGR Technologies on behalf of AGR Technologies Inc. AGR Technologies has no obligation to render Services under any Plan if the payments as required under any Subscriptions/Services have not been made. You understand that certain Plans may have fee including, but not limited to “Service Fee” and/or “Activation Fee and/or Subscription Fee” payable either on an annual basis (“Annual Payment Plan”) or on a monthly basis (“Recurring Payment Plan”). Subject to the applicable Term Plan, all payments under the Annual Plan shall be made upfront at time of commencement of the subscription cycle. 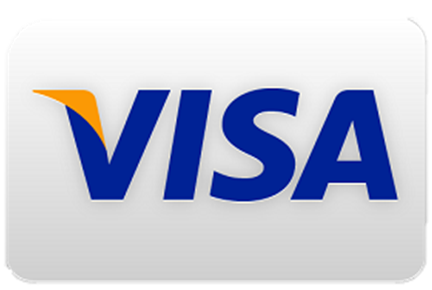 For payments under the Recurring Payment Plan, all payments fees shall be made in advance. When you purchased the Service, you agreed to a specific price and plan, where such plan maybe for a different duration (“Term Plan”). Plans can also have Subscription Fees. All terms of Service Fee and/or any other fee payable under any mode of payment for a Subscription shall be set forth in the applicable Subscriptions/Services. You agree to maintain your Service and the bundled services for the applicable term. Once, you subscribe the service and pay the price available then it is valid until one of the following occurs: (1) the Term Plan expires; (2) you drop one of the AGR Technologies services you were required to purchase; or (3) You terminate the agreement/ Plan before the expiry of the relevant term. 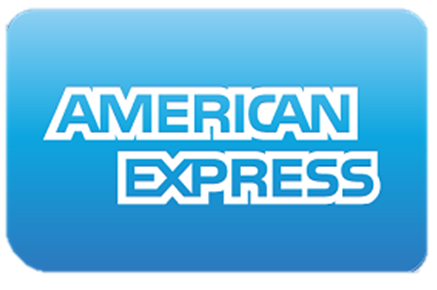 You may be asked to provide us with a credit card number from a card issuer that we accept in order to activate your Service. You hereby authorize AGR Technologies to charge and/or place a hold on your credit card with respect to any unpaid charges for Services or any related service(s). You authorize the issuer of the credit card to pay any amounts described herein without requiring a signed receipt, and you agree that these charges are to be accepted as authorization to the issuer of the credit card to pay any amounts described herein without requiring a signed receipt, and you agree that these charges are to be accepted as authorization to the issuer of the credit card to pay all such amounts. You authorize AGR Technologies and/or any other company who bills products or services, or acts as billing agent for AGR Technologies to continue to attempt to charge and/or place holds with respect to all sums described herein, or any portion thereof, to your credit card until such amounts are paid in full. You agree to provide AGR Technologies with updated credit card information upon AGR Technologies request and any time the information you previously provided is no longer valid. You acknowledge and agree that neither AGR Technologies nor any AGR Technologies affiliated company will have any liability whatsoever for any non-sufficient funds or other charges incurred by you as a result of such attempts to charge, and/or place holds on, your credit card. If you mistakenly provide a debit card number, instead of a credit card number, you authorize all charges described herein to be applied to such debit card unless and until you provide a credit card number. In the event you are enrolled, or later enroll, in an automatic payment or electronic funds transfer plan, you agree that all sums described herein may be charged, at AGR Technologies option, to the account number provided for such automatic payment or electronic funds transfer plan. 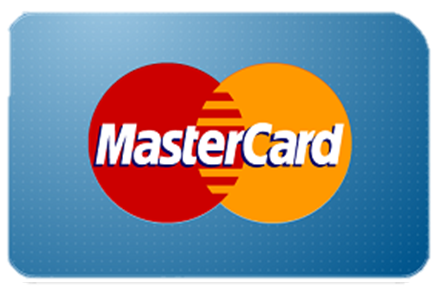 When payment is made by credit card or debit card, payment will also be subject to the terms and conditions established by the credit or debit card issuer. Though AGR Technologies has no limits on the amount of online support requests a Plan user may make during the subscription period, however, each Subscriber’s use of the support services for the Plans are subject to AGR Technologies “fair use” policy. Under this policy, if at any time, in AGR Technologies sole discretion, a Plan user is found to be abusing the service by exceeding the level of use reasonably expected from someone using a Plan for individual use, then AGR Technologies reserves the right to suspend or terminate Subscriber’s Subscription Services. In addition, AGR Technologies reserves the right to suspend or terminate any Subscription Services of any Subscriber that AGR Technologies, in its sole discretion, determines are being used (a) fraudulently, (b) by any person other than Subscriber, or (c) for any computer system other than a Registered System. User may terminate the Service at any time by giving written or electronic notice to AGR Technologies; provided, however, that User will not be entitled to a refund of any fees prepaid by User for the Service. AGR Technologies may provide you with the use of e-mail services, addresses, bulletin board services, instant messaging services, chat areas, news groups, forums, communities, personal web pages, calendars, file cabinets and/or other message or communication facilities designed to enable you to communicate with AGR Technologies employees and others as appropriate to your Service under a Subscriptions/Services (each a “Communication Service” and collectively “Communication Services”). Communications Services shall only be used under an accepted Subscriptions/Services, and not for any other purpose. Use the Communication Services in connection with surveys, contests, pyramid schemes, chain letters, junk email, spamming or any duplicative or unsolicited messages (commercial or otherwise). Defame abuse, harass, stalk, threaten or otherwise violate the legal rights (such as rights of privacy and publicity) of others. Publish post, upload, distribute or disseminate any inappropriate, profane, defamatory, obscene, indecent or unlawful topic, name, material or information. Upload, or otherwise make available, files that contain images, photographs, service or other material protected by intellectual property laws, including, by way of example, and not as limitation, copyright or trademark laws (or by rights of privacy or publicity) unless you own or control the rights thereto or have received all necessary consent to do the same. Use any material or information, including images or photographs, which are made available through the Materials in any manner that infringes any copyright, trademark, patent, trade secret, or other proprietary right of any party. Upload files that contain viruses, Trojan horses, worms, time bombs, cancel bots, corrupted files, or any other similar service or programs that may damage the operation of another’s computer or property of another. Advertise or offer to sell or buy any goods or services for any business purpose, unless such Communication Services specifically allows such messages. Download any file posted by another user of a Communication Service that you know, or reasonably should know, cannot be legally reproduced, displayed, performed, and/or distributed in such manner. Falsify or delete any proprietary rights notices, such as author attributions, legal or other proper notices or proprietary designations or labels of the origin or source of service or other material contained in a file that is uploaded. Restrict or inhibit any other user from using and enjoying the Communication Services. Violate any code of conduct or other guidelines which may be applicable for any particular Communication Service. Harvest or otherwise collect information about others, including e-mail addresses. Violate any applicable laws or regulations. Create a false identity for the purpose of misleading AGR Technologies or others. Use, download or otherwise copy, or provide (whether or not for a fee) to a person or entity any directory of users of the Materials or other user or usage information or any portion thereof. AGR Technologies has no obligation to monitor the Communication Services. However, AGR Technologies reserves the right to review materials posted to the Communication Services and to remove any materials in its sole discretion. AGR Technologies reserves the right to terminate your access to any or all of the Communication Services at any time, without notice, for any reason whatsoever. AGR Technologies reserves the right at all times to disclose any information as AGR Technologies deems necessary to satisfy any applicable law, regulation, legal process or governmental request, or to edit, refuse to post or to remove any information or materials, in whole or in part, in AGR Technologies’ s sole discretion. You may not create hyperlinks to any portion of the AGR Technologies WEBSITE, nor any Materials or Software posted therein. If you are not currently subscribed for a Service, then you are regarded as a “Guest”. Usage of the AGR Technologies WEBSITE by current AGR Technologies customers outside of the scope of a Service specified under an applicable Subscriptions/Services is also treated as a “Guest”. As a Guest you may use the AGR Technologies WEBSITE and Materials specifically designated as available to guests on the AGR Technologies WEBSITE for the limited purposes of (a) deciding whether to subscribe to the Services provided by AGR Technologies, (b) registering with AGR Technologies and submitting Subscriptions/Services only. The foregoing license grant is a non-exclusive revocable license. As permitted through a Service, you may use Materials and Software posted on the AGR Technologies WEBSITE, or made available in connection with a Subscriptions/Services which may be available for additional purposes and or subject to additional restrictions. Any other use of the AGR Technologies WEBSITE, Services, Materials or Software, other than as explicitly permitted by AGR Technologies is prohibited. Rights to execute, copy, modify, display, transmit, distribute, manufacture, use, sale are all reserved to AGR Technologies and its suppliers. Reverse engineering and de-compilation of the Software is strictly prohibited. Cooperate with the AGR Technologies Technician: We will use commercially reasonable efforts to provide the support to you. Our experience shows that most issues can be corrected as a result of close cooperation between you and the technician. Please listen carefully to the technician and follow the technician’s instructions. You must confirm that the following conditions are true: The situation giving rise to the question is, reproducible on a single system, i.e., one central processing unit with its workstations and other peripherals; You must have knowledge regarding the hardware system, any software involved, and in the facts and circumstances surrounding the incident; The full system, including software and hardware, is available to you and accessible by you without limit during any telephone discussions with AGR Technologies support personnel. Software/Data Backup: You understand and agree that AGR Technologies shall under no circumstance be responsible for any lost or corrupted software or data. AGR Technologies strongly recommends that you at all times maintain a complete data backup and disaster recovery plan. Account, Password, and Security: For you to submit a Subscriptions/Services, you must complete the Registration Process by providing us with current, complete and accurate information as prompted by and required under the applicable Registration Form. You also will choose a password and a user name. You are solely and entirely responsible for maintaining the confidentiality of your password and account. Furthermore, you are solely and entirely responsible for any and all activities that occur under your account. You agree to notify AGR Technologies immediately of any unauthorized use of your account or any other breach of security. AGR Technologies will not be liable for any loss that you may incur as a result of someone else using your password or account, either with or without your knowledge. However, you could be held liable for losses incurred by AGR Technologies or another party due to someone else using your account or password. You may not use anyone else’s account at any time, without the permission of the account holder. You hereby acknowledge that circumstances outside of AGR Technologies reasonable control (e.g., acts of God, a large scale outbreak of a new computer virus, strikes, riots, wars, other military action, civil disorder, acts of terrorism, fires, floods, vandalism, sabotage, acts of third parties, or the like) may cause significant delays in AGR Technologies ability to schedule a support session. You hereby release AGR Technologies from any and all liability, and agree that AGR Technologies shall not be liable to you or any third party for any direct or indirect damages whatsoever, resulting from such delays. AGR Technologies or its suppliers may, at any time, without notice or liability, restrict the use of the Service or limit its time of availability in order to perform maintenance activities and to maintain session control. any item or activity not covered by the terms of a Subscriptions/Services ; service beyond the duration limitations identified in your Subscriptions/Services ; problem diagnosis and support that may not be completed because of a problem with your computer or other equipment, or their configuration that is beyond our control; Software, including the operating system and software added to the registered hardware products which are out of scope for the Plan; Problems that may and do result from: External causes such as accident, abuse, misuse, or problems with electrical power; Usage that is not in accordance with product instructions provided by manufacture; Failure to follow the product instructions provided by manufacture or failure to perform preventive maintenance; or Problems caused by using accessories, parts, or components not compatible with the product. Non Compliance with the AGR Technologies technician instructions for resolving the query. For your convenience, AGR Technologies may make available Materials or Software (as each term is defined above) for use and/or download, whether as a part of a Service, or in promotion of the Services. Use of any Materials and any Software is governed by the more stringent of (a) the terms of the end user license agreement (“EULA”), if any, which accompanies the specific Materials and Software, or (b) if there is no EULA, these Terms and Conditions. The Materials and Software are made available for download solely for use by you according to (a) the EULA, and (b) the Subscriptions/Services. Any reproduction or redistribution of the service not in accordance with the EULA is expressly prohibited by law, and may result in severe civil and criminal penalties. Violators will be prosecuted to the maximum extent possible. No logo, graphic, sound or image from any AGR Technologies Web site may be copied or retransmitted unless expressly permitted by AGR Technologies. In connection with our Service, we may provide to you, the use of certain software which is owned by AGR Technologies or its third party licensors, and suppliers. We as well as the third party licensors reserve the right to update or change the Software from time to time and you agree to cooperate in performing such steps as may be necessary to install any updates or upgrades to the Software. You may use the Software only as part of, or for use with, the Service in accordance with the Plan and for no other purpose. The Software may be accompanied by a EULA from AGR Technologies or a third party. Your use of the Software is governed by the terms of that license agreement and by this Agreement, where applicable. You may not install or use any Software that is accompanied by or includes a EULA unless you first agree to the terms and conditions of the EULA. With regard to any Software made available to you by AGR Technologies through the AGR Technologies WEBSITE for which your acceptance of a separate license agreement is not required (“AGR Technologies Software”), you are hereby granted a revocable, non-exclusive, non-transferable license by AGR Technologies to use the AGR Technologies Software (and any corrections, updates and upgrades). In accordance with and as required under the Plan you shall not make any copies of the AGR Technologies Software. You agree that the AGR Technologies Software is the confidential and proprietary information of AGR Technologies or its third party licensors, providers or suppliers, and which you shall not disclose to others or use except as expressly permitted herein. You may not de-compile, reverse technician, disassemble, attempt to discover any source code or underlying ideas or algorithms of the AGR Technologies Software, or otherwise reduce the AGR Technologies Software to a human readable form, modify, rent, lease, loan, use for timesharing or service bureau purposes, reproduce, sublicense or distribute copies of the Software, or otherwise transfer the AGR Technologies Software to any third party. You may not remove or alter any trademark, trade name, copyright or other proprietary notices, legends, symbols, or labels appearing on or in copies of the Software. You are not granted any title or rights of ownership in the AGR Technologies Software. You acknowledge that this license is not a sale of intellectual property and that AGR Technologies or its third party licensors, providers or suppliers continue to own all right, title and interest, including but not limited to all copyright, patent, trademark, trade secret, and moral rights, to the AGR Technologies Software and related documentation, as well as any corrections, updates and upgrades. The AGR Technologies Software may be used only in the country of residence at the time of acceptance of these terms for use of the AGR Technologies Software. Export of the AGR Technologies Software is strictly prohibited. As part of the Services, AGR Technologies may suggest that you acquire, install and use certain third party software or services (“Third Party Software”). Third Party Software is licensed to you by the respective owners or licensees of the Third Party Software. You must agree to the terms and conditions set forth by such owners or licensees before installing Third Party Software, whether AGR Technologies assists you in the acquisition, installation, and/or use of Third Party Software. AGR Technologies has no responsibility or rights to the Third Party Software and does not license Third Party Software to you or make any representation or warranty regarding the Third Party Software. Your license to the AGR Technologies Software shall remain in full force and effect unless and until terminated by AGR Technologies, its third party licensors, providers or suppliers, or until your Service Plan is terminated as provided by your Subscriptions/Services and these Terms and Conditions. Upon termination of your Plan for any reason, you must cease all use of the Plan and the AGR Technologies Software and immediately delete the AGR Technologies Software from your computer. As part of the Services, AGR Technologies may suggest certain third party services to you. 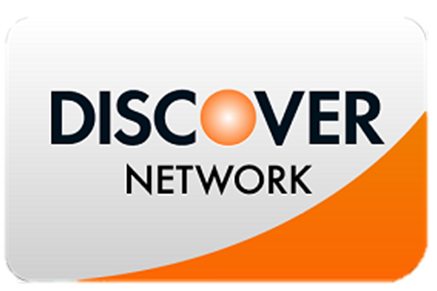 If you choose to subscribe to or otherwise use any third party services, your use of any such services is subject to the terms of service of such third party service provider. You agree to comply with such provider’s terms of service and that the third party provider is solely responsible for delivery of its service(s) to you and your use of them. Third party services include, but are not limited to technical support, WEBSITE, training, music, gaming and storage services that AGR Technologies may elect to make available from time to time. Violation of such third party provider’s terms of service may, in AGR Technologies sole discretion, result in the termination of your customer account and use of service. AGR Technologies DISCLAIMS ALL WARRANTIES EXPRESS OR IMPLIED AS TO THE SERVICES, THE MATERIALS AND THE SOFTWARE WHETHER IN THE NATURE OF MERTCHANTABILITY OR FITNESS FOR A PARTICULAR PURPOSE, OR OTHERWISE. IN THE EVENT THAT YOU ARE NOT SATISFIED WITH THE SERVICES, YOUR SOLE REMEDY IS TO (A) ALLOW AGR Technologies TO REPERFORM THE SERVICES SUBJECT TO DISPUTE, (B) RE-DOWNLOAD AND REINSTALL THE SOFTWARE. AGR Technologies AND/OR ITS RESPECTIVE SUPPLIERS MAKE NO REPRESENTATIONS ABOUT THE SUITABILITY OF THE INFORMATION CONTAINED IN THE SERVICES, MATERIALS OR THE SOFTWARE FOR ANY PURPOSE WHATSOEVER. ALL MATERIALS AND SOFTWARE ARE PROVIDED “AS IS” WITHOUT WARRANTY OF ANY KIND WHATSOEVER. AGR Technologies AND/OR ITS RESPECTIVE SUPPLIERS HEREBY DISCLAIM ALL WARRANTIES OF ANY KIND WHETHER EXPRESS OR IMPLIED WITH REGARD TO THIS INFORMATION, INCLUDING ALL WARRANTIES AND CONDITIONS OF MERCHANTABILITY, WHETHER EXPRESS, IMPLIED OR STATUTORY, FITNESS FOR A PARTICULAR PURPOSE, TITLE AND NON-INFRINGEMENT. THE MATERIALS COULD INCLUDE TECHNICAL INACCURACIES OR TYPOGRAPHICAL ERRORS. CHANGES ARE PERIODICALLY ADDED TO THE INFORMATION HEREIN. AGR Technologies AND/OR ITS RESPECTIVE SUPPLIERS MAY MAKE IMPROVEMENTS AND/OR CHANGES IN THE MATERIALS AND/OR THE SOFTWARE DESCRIBED HEREIN AT ANY TIME. IN NO EVENT SHALL AGR Technologies AND/OR ITS RESPECTIVE SUPPLIERS BE LIABLE FOR ANY SPECIAL, INDIRECT OR CONSEQUENTIAL DAMAGES OR ANY DAMAGES WHATSOEVER RESULTING FROM LOSS OF USE, DATA REVENUE OR PROFITS, WHETHER IN AN ACTION OF CONTRACT, NEGLIGENCE OR OTHER TORTIOUS ACTION, INCURRED BY YOU OR ANY THIRD PARTY, WHETHER ARISING OUT OF OR IN CONNECTION WITH THE USE OR PERFORMANCE OF SERVICES, MATERIALS OR SOFTWARE, FAILURE TO PROVIDE THE SAME, OR INFORMATION AVAILABLE IN THE MATERIALS. Notwithstanding anything to the contrary in no event shall AGR Technologies be liable to you in excess of the amounts actually paid by you to AGR Technologies under the Subscriptions/Services that is the subject of the dispute. AGR Technologies at its sole election may terminate or suspend your Service immediately without notice if, in the sole discretion of AGR Technologies: (a) you are in breach of any of the Terms and Conditions (including but not limited to all policies regarding abuse and acceptable use of the Service) or any license for Third Party Software; (b) your use of the Service is prohibited by law or is disruptive to, adversely impacts or causes a malfunction to the Service, AGR Technologies network, or the use and enjoyment of AGR Technologies other users; (c) AGR Technologies receives an order from a court to terminate the Service you are availing ; (d) if AGR Technologies for any reason ceases to offer the Service; (e) if you are no longer a AGR Technologies customer, or (f) AGR Technologies determines that you are abusing the Service. AGR Technologies, in its sole discretion, may refuse to accept your request for the Service, renewal or re-subscription following a termination or suspension of your use of the Service. If any provision of the Terms of Service be held invalid or unenforceable, that portion shall be enforced to the maximum extent possible, and all other provisions contained in the Terms of Service shall remain in full force and effect. AGR Technologies failure to enforce any provision of the Terms of Service shall not be deemed a waiver of such provision nor of the right to enforce such provision. The AGR Technologies WEBSITE is available internationally and may contain references to AGR Technologies products, services, and programs that are not available in a viewer’s country. These references do not imply that AGR Technologies intends to make such products, services, or programs available in such country.